The Columbia River Basin is home to 61 different fish species, both native and introduced. The most significant species were those that the tribes of this region relied upon for food. Certainly the most well-know are the various species of salmon: chinook, coho, sockeye, and steelhead. The Pacific lamprey also played a significant role in the cultures of the Columbia Plateau tribes. Before European settlement, these fish returned to the Columbia River Basin in the tens of millions. The impact that this many animals had on the ecosystem of the Columbia River Basin is staggering, and despite their diminished numbers, they still play a role in the region’s ecosystem. 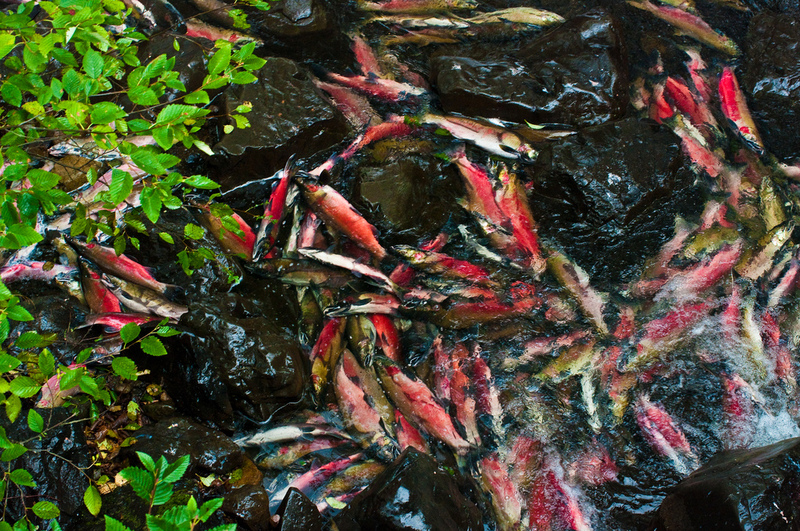 When these fish return from the ocean to spawn, they bring with them millions of pounds of ocean nutrients that feed not only the animals and humans that eat them, but their carcasses that remain after they have spawned decompose and feed insects, and invertebrates, and the forest itself. The nutrients that anadromous fish like salmon and lamprey return from the ocean helps feed the Columbia Basin ecosystem. Photo by Rudimentary. The elders taught me that the plants and animals are the old people and that we were the last, therefore youngest, creatures put on earth. We are given some abilities but not all the wisdom and strength to survive in this world. So to whom do we turn to learn this wisdom and to gain strength? We turn to our elders, the older living beings—the plants and animals.